Following on from last week's blog - I mentioned that we don't take the books out the back and burn them, so after weeding is done we have to come up with some way of moving on the weeded stock. I've come across many variations on the theme but there are three main methods - sale, donation and disposal. If you know of any others please do let me know - the more knowledge the better! 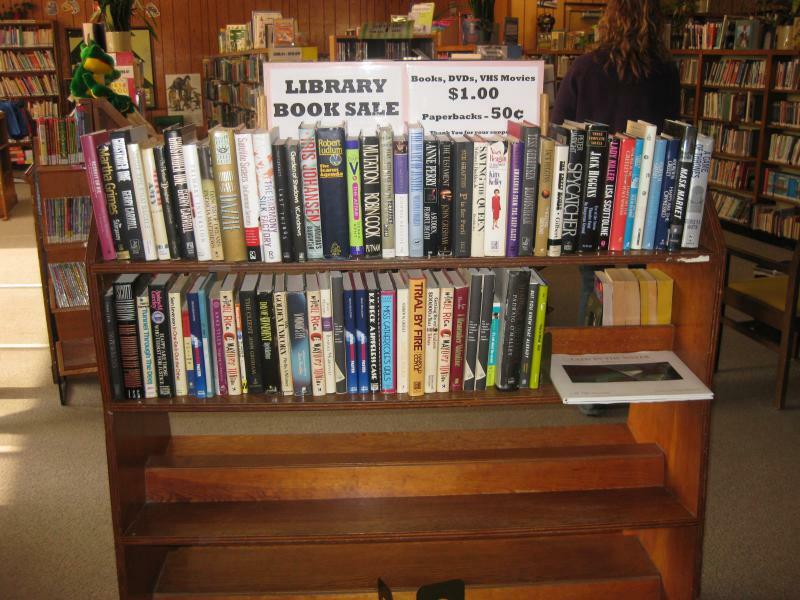 Many libraries run book sales - they might be occasional promoted events or a single shelf that's restocked as required. Larger sales, especially those held by more prestigious libraries, can be massive events that draw large crowds. I've been in book sale rooms where the people are packed in like sardines and still coming. Who benefits is an interesting question. Sometimes it's the library or a chosen charity that benefits but it might well go into the revenue stream of the governing body. 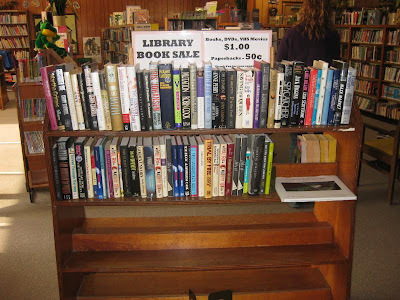 Donation of the books is also a popular option and here there are a lot of choices. The type of book might dictate which options suit. Locally child care centres are great for picture books and large print items often go to nursing homes as their high cost make it difficult for these organisations to establish good collections of their own. Other libraries who are establishing a collection from scratch, recovering from disaster or are experiencing tough financial situations might be able to use some items too. Libraries and museums with specialist subject collections might have some interest too. I once sent off a collection of very aged workshop manuals that were no longer of use to the public library I was in to a car museum that was very glad to have them. Prison libraries might appreciate donations, though they can be understandably choosy about subject matter. Charity bookshops can also be quite choosy as they want items that will sell rather than become permanent shelf occupants. Some international aid groups also take books, especially those supporting schools in developing nations. In more than one library I've worked with there has been a regular representative from one of these charities who comes by to pick up items to send off. When one library had a large sale of books in many languages a charity group came in at the end and packed up every last remaining book to distribute to refugee groups and foreign aid projects. Libraries I have worked in mostly recycle old books that cannot be re-homed. Some books require the cover to be cut away first, this is the more drastic method of defacing I mentioned before. The first time you do this it feels almost criminal, but if no new home can be found after significant effort a chance to be another book in future might be the best that can be offered. The methods above are by no means exhaustive, I'd love to know what other methods you've come across. One of the more unconventional I've seen is shown in this photo that came from a post about the Hutt Street Library Outdoor Reading Room where they used a number of old books to create some really fascinating decorations. Sometimes a craft class held in a library might be able to do something with old books too though the attendee's feelings on this may vary! A quick Google search reveals vast numbers of book craft ideas that might be possible.